It cannot be known what a Parent goes through when they lose a child, words cannot even begin to describe the horror and sadness that they know. I ask you then to take a moment and think of Thomas and Mary Tomlinson. 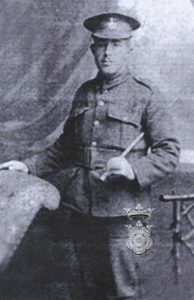 Bill volunteered for service in August 1914 and joined the 6th East Yorkshire Pioneers. 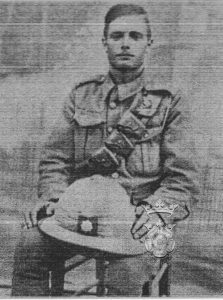 Based at Hedon, later at Belton Camp, Grantham and Camp Witley, Surrey he then went to the Dardanelles on the 23rd June 1915. Wounded in the neck at Gallipoli he was shipped back to England after a short period of convalescence in Malta. He was returned to Withernsea where he remained until July 1916 when he left for France. Ten days later he was attached to the 9th York and Lancasters waiting to move up to the front. Fred was probably the first of the Bothers to enlist, he had been with the Waggoner’s Reserve and when War was declared he had attested on the 14th January 1914 at North Dalton. 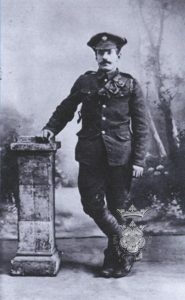 Fred was in France throughout 1915 as a Waggoner and would have spent the majority of his time transporting equipment and materials to the front. He had been looking forward to returning home in January 1916 when his Term of Service expired. Once home he married Jessie Deighton from Rudston and the following year re-enlisted before conscription came into force. He was stationed at Withernsea from May 1917 for around 3 months before he was shipped off to France. Fred would not have been under any illusions about what he was about to face. Fred died 25th March 1918 and is recorded on Bay 4 & 5 of the Arras Memorial, France and on the North Frodingham War Memorial. Jack had volunteered in 1914 and his low Service Number 2945 suggests that he was probably a pre-war member of the 5th Yorkshire Regiment later to become the Green Howards as part of the Royal Field Artillery Brigade. Jack saw training in Scarborough, Newcastle and Aberdeen before travelling to Portsmouth for embarkation to Boulogne. Jack was involved in the carnage on the Somme and was killed in action on the 24th October 1916. His name is recorded on the memorial at Thiepval and on the North Frodingham War Memorial, he has no known grave. 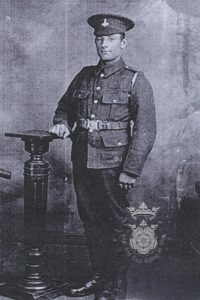 Thomas was the last of the brothers to enlist and the above photograph shows him in uniform aged just 16 years. Letters to his sister Doris show he spent considerable time in England before going to France, training in Hull, Darlington, Newcastle, Retford and Plymouth. His last letters were from France, the Battalion having landed at Boulogne, became the 150th Brigade of the 150th Division and he said that he had met his brother Alec on the 18th July after a calm sea crossing. Thomas was reported missing on the 17th November and later reported killed on that day. The Hull Daily News prolonged the agony of the family by listing Thomas as a casualty 9th January, missing in February, and again missing and wounded in August. We have heard this many times and wonder just how a family coped. Alec was born in 1896 and volunteered for Army Service some time in 1915. 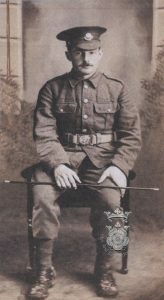 His first letter arrived home from France where he was serving with the 3rd Entrenching Battalion of the East Yorkshire Regiment having left Scarborough 6th November 1915. Albert was born November 1894 and was almost twenty when war was declared. He volunterred a few months after his three brothers but was already in Service by November 1915. Albert trained at Bradford, Willesden, Portslade, Pirbright and Brighton before embarking for Salonika. Albert was posted to the little known front of Salonika. At the request of the Greek Government a new front was opened intending to support the Serbian Forces and oppose Bulgaria. Although a good many battles were fought the main killer of men on this front was disease particularly malaria. By the end of the campaign nearly 11000 soldiers had died mostly from disease.